Cutest summer trend ever? 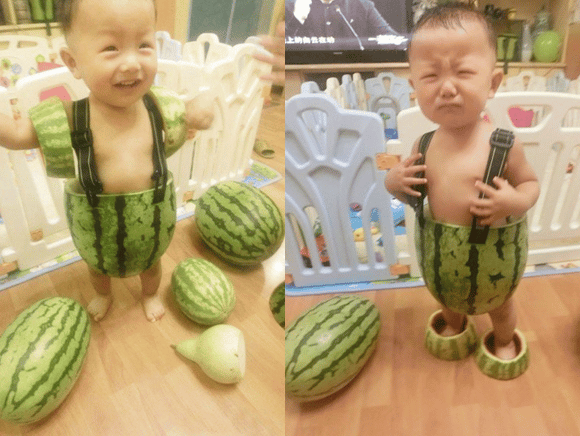 Introducing: the watermelon suit. Blisteringly hot summer days can be torturous, especially for the little ones. Yes. 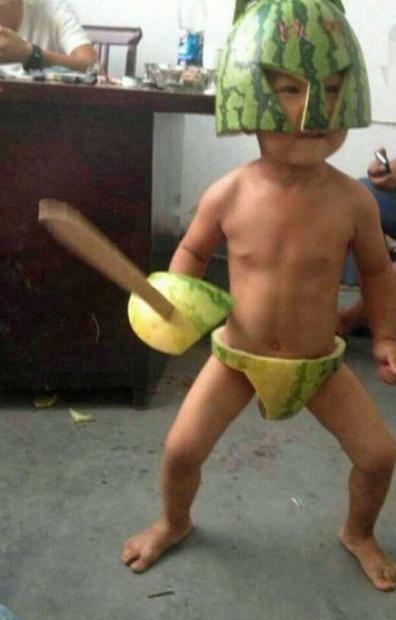 That image you see above is of a child in a custom-made watermelon suit. Could this be the solution to keeping the kids cool when December rolls around? 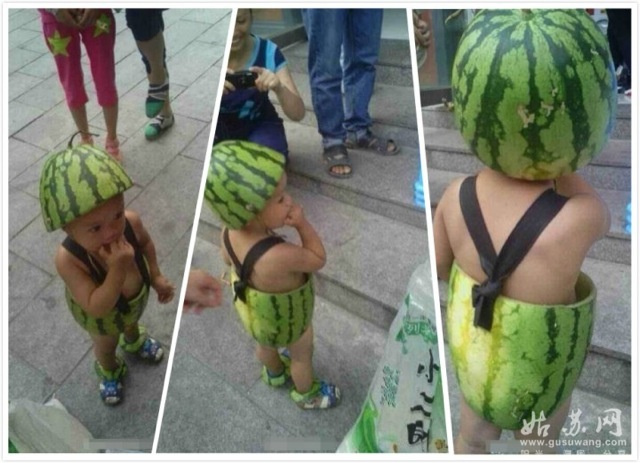 According to Chinese news agency Xinhua, the fruity trend started in July when a photo of a kid walking down the street in a pair of bespoke watermelon overalls (pictured right) went viral on Chinese social media site Sina Weibo. Inspired by the cuteness of it all, other parents around the country have developed their own variations. However, before you rush out to buy a melon and a carving knife, keep in mind there is a downside to this delicious trend. According to Kotaku, dermatologists have warned that wearing a watermelon rind, no matter how stylish, can irritate young skin after long periods. The moistness of the fruit can also promote bacteria growth and subsequent infections. 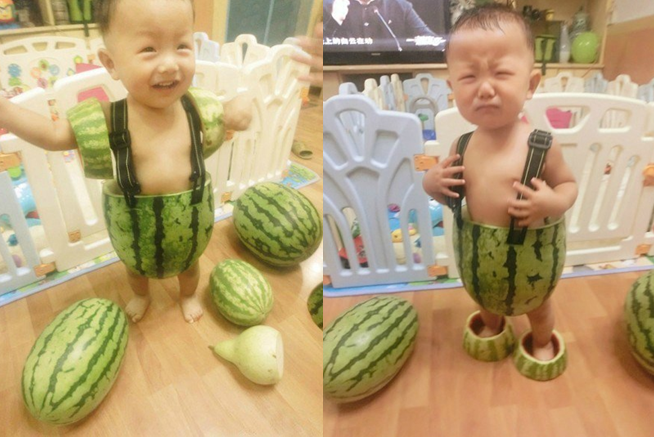 Will you be fashioning watermelon outfits for your kid this summer? If not - what&apos;s the most creative outfit you&apos;ve put together for your kid?